A new Polish report on informal file-sharing calls assumptions about motivations into stark and eloquent question. More on that in today's Ether. So glad to have you with us for the inaugural column in a new weekly series here at Publishing Perspectives. This is an outgrowth of Writing on the Ether, which for more than a year has been challenging the patience of everybody who got near JaneFriedman.com on a Thursday. Thanks to our brave host here, Publishing Perspectives’ Editor-in-Chief Edward Nawotka (what was he thinking when he took on an edition of the Ether? ), we have a chance not only to focus on publishing issues and craft points for authors, but also, I hope, to start getting our international community of authors better in touch. Some of my favorite industry folks (and you know who you are) are outside the States. What I learn from them — about both commonalities and differences in what we’re all experiencing — is always instructive. We’ll be covering “craft” in its broadest possible sense here — from writing guidance and advice to the sometimes apoplectic state of folks in the industry! the industry! as it undergoes an inexorable redesign courtesy of the digital dynamic. Consider the Ether a conversation, your conversation. Talk with me, argue with me, dance with me, the digital conga line forms here. Jump into the Comments section. Or flag me down as I go bombing by on Twitter — I’m @Porter_Anderson there. Or drop me a line through my site. I’ll be happy to hear from you. And if you have an olive branch nearby, water it. Today, we are all Ethernauts. Every novel and every story is, at its core, a horror story. Chuck Wendig makes an entertaining podcast guest — and without uttering a single of his trademark curse words — as Joanna Penn conducts her transAtlantic call with him (35 minutes). She dubs it Writing Metaphor, Memorable Characters And Horror With Chuck Wendig. Both Penn and Wendig work horror into their fiction — maybe fiction into their horror on some days, if they’re like the rest of us — and their conversation is something of a revelation in terms of how they feel the public might see them. I suppose I have worried a few times what the inside of Stephen King’s head must be like, haven’t you? Which may be why we find Wendig insisting (not altogether convincingly) that horror writers are among the most boffo of authorial creatures. In the author community, some of the nicest people have been the horror authors. Which is either because they’re, like, purging it, it’s like an infection and they’ve purged all that stuff and now they’re just all light and unicorns. Or it’s a ruse and they’re planning on killing us…They’re, like, sociopaths. I have people saying (to her), “You’re a woman, how can you write these violent things?” But you’re a man who has written a female protagonist who is really, really violent (in his book Mockingbird). Do you ever get any comments on the gender stuff? Every time I get a bad review, I can usually be sure that (it) is going to talk about one of two things. One, that I have a foul, foul mouth, and the book is sodden with vulgarity…And the second thing is about how I’m a man writing a female character and it feels like she’s a dude…And every once in a while, I get the criticism that men should not write women at all…Am I supposed to just write books about white, middle-class dudes? Penn then volunteers that women are “as dark and twisty, or possibly more dark and twisty, than men.” Wendig agrees with her, probably a little too quickly. But, seriously, he gets handily at the rightful point that women characters should have the same options as male characters of being whatever their authors need them to be. I mean, that’s the hope, right? Penn then leads Wendig into an interesting discussion of metaphor, another topic Wendig is eager to take on. Metaphor is like a little peek, a pinhole through the door, into the author’s brain…(Metaphors) really have to be right and weird at the same time. By the time he’s telling her about his right-weird boyhood spent with terrible eyesight — and stalking rocks he mistook for pheasants holding very still — Penn must be wondering if Hitchcock wouldn’t have adored the podcast as a special form of info-tainment. True to form at her site, The Creative Penn, the host-author here provides a good deal of text as a “bed” for this audio. This is especially helpful in this case because Wendig, as interviewee, produces more sound-chewing than sound bites. He annotates himself as he talks. He starts points, restarts them, trundles through them, then circles back to comment on them. Before the chat’s end dumps you back into the bottomless nightmare of your own email inbox, Penn is cleverly asking Wendig for “two top tips for writing memorable characters.” Bless her heart, the “two” is significant. Wendig normally writes 25 tips for this or that in posts at his blog site, TerribleMinds.com, and Penn obviously didn’t want the podcast to take us into the next decade. So she asks for and gets just two tips. Characters have to be active and interesting. They have to do stuff. The character needs to have a save-the-cat moment (that shows us) their own ethos in a cool way. You also hear some interesting insights from Wendig on advantages of traditional vs. self-publishing. The experiences I’ve had with Blackbirds and Mockingbird…I could never have had if I’d self-published them…There’s things that you don’t get with self-publishing. You don’t get great reviews. You don’t get your book in unexpected hands…I got to pitch to some incredibly awesome people in LA for films because they had a copy of Blackbirds. Without me — they just got it…and I’ve had foreign rights sold. Wendig’s traditional publisher is Angry Robot, one of the verticals of Oxford’s Osprey Group, which has offices in Long Island City, another part of the forest. Osprey’s Rebecca Smart was featured in Thursday’s Writing on the Ether, on the importance of diversification in her company’s efforts. Diversification is important for how writers approach their audiences, too, says Wendig. The riff among some authors in the industry, he adds, is a bit of a horror in itself. There’s no competition (between traditional and self-publishing). I don’t know why people seem to feel these things need to compete. Want to see something cool? Well, of course you do. Have a look at this animated info-graphic on the results of the study we’re talking about in this Ether-eal item. It’s called Circulations of Culture and it goes a long way toward making a complex and contentious topic accessible. Keep scrolling down — rather than clicking — as it renders for you. Then come back here and we’ll carry on with a look at what you’re seeing. Don’t worry. I’ll wait for you. Off you go. The Centrum Cyfrowe Projekt: Polska recently posted an English language translation of their report, The Circulations of Culture, which deals with the informal, sometimes illegal exchange of media content which is occurring in contemporary Poland. Henry Jenkins, faculty member in journalism and cinema at the University of Southern California and formerly with MIT’s Comparative Media Studies shop, is interested — as are so many of us in the industry — in getting a better handle on the actual incidence and impact of piracy. Big point: It’s often referred to here as “informal” file-sharing to reflect the fact that actors in this drama are mostly everyday users without commercial recourse, not “crooks” in a normal context. This report is a model of the kinds of thoughtful research which should be done in other countries around the world, including the United States, on this highly contentious topic. They start with a recognition that the pervasive language of “piracy” closes off issues which we need to be exploring. Our research project is not a study of piracy. We prefer to speak about social exchange of digital content and their informal circulations. If one sets out to find ‘pirates’ on the internet — he will find them. We try to show through our research that the same people, who are stigmatized as ‘pirates’ in the public debate, are also lovers of books, music and movies. And among some of the best clients of the cultural industries. It’s in the process of Jenkins’ extensive interview, in fact, that you can read some of the most important elements of the terminology issue. The attempt to get past the talk of “piracy,” for example, hardly represents an attempt to legitimize unpaid file-sharing of commercial property. Her associate Tarkowski points out the irony in how frequently paying customers and freeloaders are the same people. About a quarter of them are people who at the same time download informally and purchase content. Surprisingly enough, they are among the culture industries’ best customers. They make up the largest group among said customers and their expenditures are similar to the expenditures of consumers who don’t engage in illegal downloading. Yes, I do find there to be an over-emphasis on self e-publishing, and media outlets unfortunately encourage this by featuring the latest, greatest success story who has sold thousands of copies or been picked up by a traditional publisher, often leaving out the amount of work it took to reach “overnight” success. Not that she isn’t usually ahead of most curves, Jane Friedman — digital editor at Virginia Quarterly Review and host of the original Writing on the Ether — is making the most of her new, high view from the University of Virginia. That said, I think there’s a reason the vast majority of titles don’t even sell 500 copies (or 100): They’re of poor quality. Of those titles that are of reasonable quality, often the authors don’t have copywriting skills or basic online marketing skills (or even a passable website) to get it noticed. For example, in spending a day with the Reddit writing community doing an “Ask Me Anything” session, Friedman covers a notably astute round of questions from authors. In 26 Questions on Writing & Publishing: My Answers on Reddit, Friedman sets up the Q&A and then links you to it — highly worth your perusal. Jane Friedman in a Google Hangout with the Bay Area Bloggers. @ebooknoir Honestly, I’m beginning to think that I should reduce my exposure to things that will make me righteously indignant. I Ether-ized the launch of The Rogue Reader in Writing on the Ether as a “publishing hybrid,” when it was being prepared to introduce its first author’s work, Ro Cuzon. The program bears watching not only because it’s testing a potential new format for self-publishing authors but also because it’s mounted by a literary agency, Jason Allen Ashlock’s and Adam Chromy’s Movable Type (MTM). 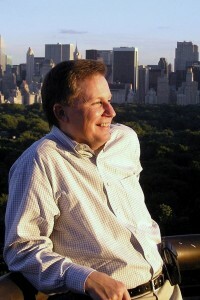 The plan in this assisted-publication program for a select group of suspense writers is for a new author to be introduced each month, TheRogueReader.com turned over largely to emphasizing that writer’s new works. 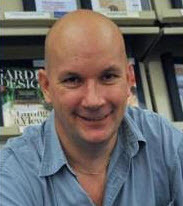 Michael Hogan is the author of this month. His featured books, just being released, are Sistine and Dog Hills. And this interesting model for self e-publication (no print copies are made at this point) sees MTM providing what Ashlock terms “capital-infused marketing” — meaning the agency’s money — to run the program and promote the books and authors. The authors, who self-publish through Hugh McGuire’s Pressbooks, are then paid 70 percent of net revenue, “net” being after MTM’s expenses. Ashlock sees this producing roughly 50 percent of list price for the authors he and Chromy choose for Rogue Reader — and they do choose them. The curatorial element, if you will, is in the agency’s gathering of authors whose work seems right for the “fiction from the bleeding edge” branding logline the program carries. We’re told that Sistine, like Cuzon’s Under the Dixie Moon last month, is to have the added push of a Barnes and Noble Nook First promotion. Which can’t hurt. There’s an invisible line between using your work to help a good cause, and using a good cause to sell more books. If you cross that line, or give the impression you crossed it, folks will notice, and not in a good way. A novelist walks into a bar. “Why the long phrase?” asks the barman. Agents, left, and authors speak to each other — for 90 seconds each — in the Pitch Slam event at Writer's Digest Conference West in Hollywood last month. We have news of two all-new author-specific conferences — each a one-day affair. These are being produced by organizers who until now have mounted conferences for publishers, editors, agents, publicists — not writers. It’s significant that these new confabs start offering to the creative corps the kind of industry-class information and viewpoint enjoyed for years by those industry attendees of F+W Media’s Digital Book World (#DBW13) and O’Reilly Media’s Tools of Change (#TOCcon) conferences. Readers of Writing on the Ether may recall me making a lot of noise about this last winter at the DBW Expert Publishing blogs in Open Sorcery: Letting the Authors In and at Matt Gartland’s site in Curing Author Ignorance — and, of course, up and down the Ether. My concern then was that while we had major and regional and genre-specific conferences for writers in many settings, we didn’t have the sort of business-centered, major-players presentations offered to authors that their colleagues in publishing are lucky to have. Authors Launch and TOC Authors are a terrific response — from two of our premiere conference-producing outfits — to just that appeal. We all can thank Mike Shatzkin, Michael Cader, Tim O’Reilly, Joe Wikert, Kat Meyer, and Kristen McLean for taking that commentary onboard and really working to get a fresh start on this issue with two brand-new events for authors. Please consider trying to be at one or both, I’d love to see you there. Authors Launch comes first, on Friday, January 18, at the Hilton New York (Sixth and W. 53rd, half a block from the Museum of Modern Art). This is a one-day follow to F+W Media’s major annual Digital Book World Conference. Mike Shatzkin (Idea Logical) and Michael Cader (Publishers Lunch/Publishers Marketplace). 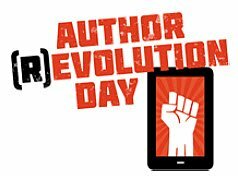 Not quite a month later, on Tuesday, February 12 at the Marriott Marquis New York in Times Square, it’s Author (R)evolution Day, also referred to as #TOCAuthors, designed by the creators of Tools of Change for the empowered author leaning forward into the digital dynamic, not hiding from it. Joe Wikert and Kat Meyer of TOC, and Kristen McLean of Bookigee and WriterCube. For an updated list of planned confabs, please see the Publishing Conferences page at PorterAnderson.com. Books included here have been referenced recently either in Writing on the Ether, here at Ether for Authors, or in tweets. I’m bringing them together in one spot each week, to help you recall and locate them, not as an endorsement. 10 minute walk to and from dinner. Encountered 6 wallabies, 2 wombats. OH MY GOD THE WOMBATS. Do you use music as you write? Before you write? After you write? Not at all? Some of us find the work of our fellow artists who need not fight it out with spell check to be an important element of what we do. For my part, I’m none too good with lyrics I can understand. If they’re in a language I don’t speak or not positioned at the front of the soundscape, I’m fine. Choral can work well. I find my creativity supported best by instrumental work. But in the case of Missy Mazzoli’s music-theater piece, Song from the Uproar: The Lives and Deaths of Isabelle Eberhardt, I find the vocals exhilarating and the overall sound something Darius Milhaud could have used as a prompt to write his L’Homme et son desir. This, however, is very much about a woman and her desire to be far beyond her time. Isabelle Eberhardt was Swiss, a19th-century explorer. Did a lot of traveling in North Africa. She’s said to have been fluent in Arabic and a convert to Islam. She wore guys’ outfits to get around the social constraints of the day on women. She died in a flash flood — in the desert. You’re wishing you’d written this as a novel, right? Mazzoli, one of the most gifted of composers working in the contemporary-classical field today, has recorded the piece with the NOW Ensemble and mezzo soprano Abigail Fischer for New Amsterdam Records. We learn from Daniel Stephen Johnson, writing for Q2Music, that the label’s offices were badly damaged in Hurricane Sandy. His write is Missy Mazzoli’s Song from the Uproar. You may find this work helpful in your own creativity’s clamor. Good writing.